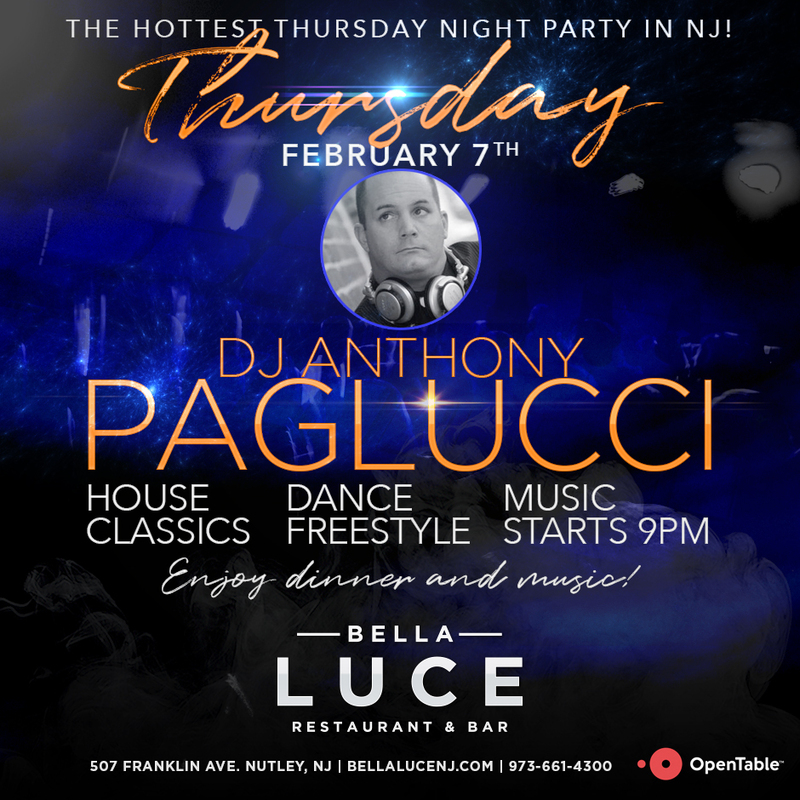 Experience Northern NJ’s Hottest Thursday Night Party as DJ Anthony Paglucci spins the hottest 70s, 80s, 90s, classics, freestyle, house, and dance music on Thursday, February 7th, Music starts 9pm. Visit us for a delicious dinner by chef Erm Firmani or stop by for some amazing cocktails at our bar. Make your dinner reservations online, click the find a table link at the top of the page.